The "Lawyer of the Year Award" recognizes a competition lawyer whose superior technical skill, practical judgment and excellence in client service in 2011 demonstrates that he or she is among the very best in the field. 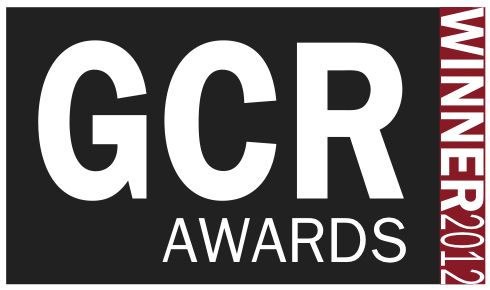 A shortlist of finalists was compiled by editors at GCR while readers decided the winner through an online vote. Mr. Harkrider and the four other finalists were selected from hundreds of attorneys across the U.S.
Mr. Harkrider was lead or co-lead counsel on several of the most significant antitrust matters of the year, including the largest and fifth largest mergers ever undertaken by Google. Mr. Harkrider represented Google in its $700 million acquisition of ITA, as well as Google’s $12.5 billion acquisition of Motorola Mobility. He also represented Tyson in its acquisition of George’s, which was challenged by the US Department of Justice; Omnicare in its $700 million hostile acquisition of Pharmerica, which was challenged by the Federal Trade Commission; and GHI’s multi-billion acquisition of HIP, which was challenged by the City of New York. Mr Harkrider and others on the Axinn team also represented SunGard in its $1.6 billion sale of SunGard Higher Education to its competitor Datatel; Thermo Fisher Scientific in its $2.1 billion acquisition of Dionex; and the Ultimate Fighting Championship (“UFC”) in an investigation by the FTC.